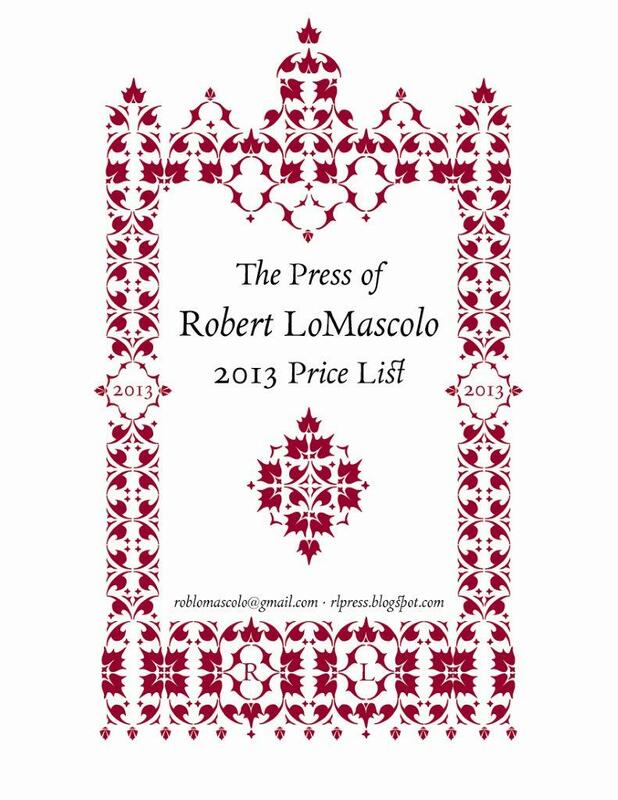 The Press of Robert LoMascolo: New 2013 Price List! 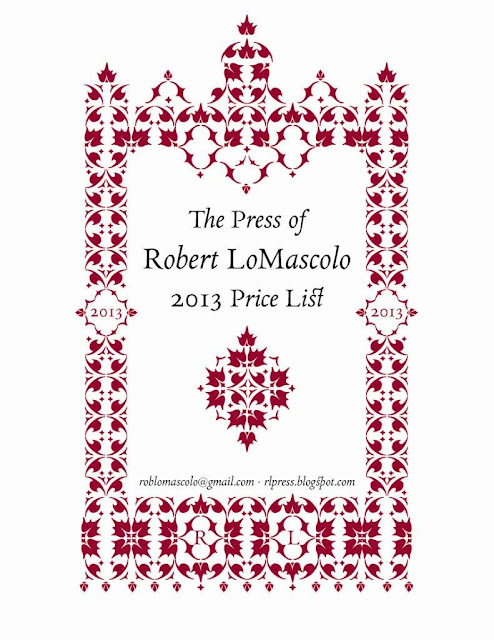 The Press of Robert LoMascolo is pleased to announce that the 2013 price list is now available for download. Take a look!